We all like free stuff, right? Well, Microsoft just keeps giving. The Microsoft Developers Network (MSDN) maintains a massive amount of literature for developers, old or new, providing valuable information on all manner of Microsoft platforms: Windows 8, Office, Dynamics CRM, PowerShell functions, the Microsoft System Centre and much more. They’ve seen it prudent to release almost 300 eBooks, free for our consumption. Excellent for consumers wishing to understand more and developers alike. The full list can be found in the MSDN blog post above and we’ve picked a few that deliver essential Microsoft information that you can use immediately. There is always potential to learn more where Windows is concerned. Aside from the handy Windows 7, 8, and 8.1 shortcut guides, there is a document titled Windows To Go. 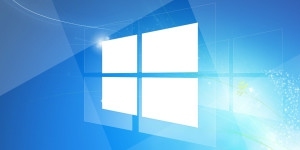 Windows To Go explores an enterprise operating system running from a USB drive, specifically tailored for use within educational facilities. Windows To Go creates a bootable Windows 8.1 image on a USB drive, essentially a copy of the same version the institution will have access to. Faculty members and students can then take this bootable USB and replicate the learning environment on any computer, anywhere, providing a capable desktop wherever it is needed. It is a portable, cost-effective solution for institutions with small budgets, but it also provides students with opportunity to continue working in a familiar environment in their homes. There are a several good guides for Office users, focusing on Office 365, Discovering SharePoint, the Moodle-Office 365 plugin, plus a whole host of keyboard shortcut guides for many Office products – always worth brushing up on! I liked this one in particular: How to Recover That Un-Saved Office Document. Whilst this type of guide is dime-a-dozen online, refreshing your approach to Office is useful, as well as setting up best practices for document recovery tools. I mean, they’re built into the software and only require a minute amount of configuration, but can be absolute life-savers. I know I’ve held my head in my hands before. Save yourself this terror. Pro Tip: Files in the temporary folder are saved for 4 days following their creation. If they are not manually saved after that time, attempting to recover the data becomes a whole different kettle of fish. I must admit, I’ve never used Dynamics – I’ve never had cause to – so reading through a handful of these eBooks has been eye-opening. Depending on your customer relationship management strategy, some of this literature could be for you, but the extended detail found in some of these eBooks was a little beyond my pay-grade. Nonetheless, I found the opening document Start Working in CRM very useful as a brief introduction to the field via Microsoft software, and the document series concerning CRM for mobile devices was interesting from the view of the consumer. Finally, the Microsoft Social Listening for CRM was curious – we’re all aware that these systems exist, are monitoring us, providing us stimulation and suggestions in other aspects of lives, and reading about their motivations and practices gives you further understanding. The PowerShell section has a number of short guides to help newcomers to the subject, providing a couple of handy PowerShell 4.0 examples, as well as some useful information on The Secrets of PowerShell Remoting. The PowerShell Remoting guide was an excellent introduction to the field, exploring the aims and objectives of remote PowerShell functions, environments, platforms, and a number of remote PowerShell functions for instant use. Azure is Microsoft’s cloud computing platform. The standout guide in this section is Building Real World Cloud Apps with Windows Azure. The guide is one of the lengthier eBooks featured and covers application development with Azure Web Sites, Visual Studio, ASP.NET, Visual Studio Online, and Azure SQL, as well as outlining a pattern-based approach to general development practices. Similarly to Dynamic CRM, I’ve never developed using Azure, but I’ve certainly used services developed with it, and it’s worthwhile understanding how the web apps you are using function behind the scenes. The MSDN blog released a number of uncategorized eBooks. These cover virtual desktop deployment, SQL server management practices, Windows Server 2.0 and 3.0 guides, and a number of .NET guides. The BYOD Devices – A Deployment Guide was an interesting read. The eBook offers a practical guide to rolling out a BYOD strategy in educational facilities. As more and more devices enter our schools with students, it makes sense to utilize this as a resource. School budgets are tighter than ever. Encouraging students to expand their educational experience using the digital tools already available can be a welcome opportunity for students and teachers alike, so long as the curricula matches the digital. In some classrooms, BYOD schemes are simply not practical, whilst other facilities may decide the liability issues are simply not worth the hassle. Lurking at the bottom of the eBook list is another useful guide in the Administrators Guide for Microsoft Bitlocker. The title doesn’t make for an outstanding evening read, but it does deliver a comprehensive overview of the Microsoft Bitlocker Administration and Monitoring tool, useful for those overseeing a large network of Bitlocker accounts.